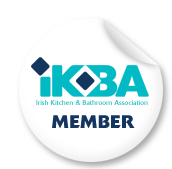 Our members are happy to count as their employees Ireland’s top kitchen designers. But as they say in the highlands "there can be only one". If you think you’ve designed a really great kitchen this year then why not enter your design in the KRI Awards 2012. You can download an application form here www.bayviewpublishing.net/awards/Entry_Info.pdf Let the games commence!